The present book provides a state-of-the-art overview of the adrenal gland pathophysiology. It covers both up-to-date basic and clinical notions on adrenal glands. Amidst the molecular aspects, discussed by leading scientists in the field, there are ER stress, microRNA, hormone biosynthesis, and interactions with other organs. Clinical insights for students and physicians are also provided, from the imaging to the therapeutic management of common disorders of the gland, including adrenal failure, hyperaldosteronism, Cushing’s syndrome, neurologic disease, and cancer both in adults and pediatric patients. As mentioned above, chapter contributions are made by worldwide renowned experts, scientists and physicians, working in prestigious hospitals and universities including Brown, Oxford, Case Western Reserve University, Cleveland Clinic, Chinese University of Honk Kong, University of Tennessee, Indiana University School of Medicine, Monash Health in Clayton, Australia, University of Calgary, Northern Ontario School of Medicine and Laurentian University, Medical University of Gdańsk, Université Pierre et Marie Curie in Paris, France, University of Minho, Braga, Portugal, St. Vincent’s University Hospital in Dublin, Universities of Londrina, Alfenas, Sao Paulo, and Rio de Janeiro, Brazil. Throughout these chapters, the authors spotlight future avenues for research in basic pathophysiology and in therapy/prevention, in addition to thorough overviews of the current literature pertaining to the adrenal gland and its functional roles. The book also includes several color photographs, schemes and diagrams of molecular relationships, and tables that support and complement the text. The comprehensive and systematic overview provided within this book is expected to assist the reader in comprehending the importance of taking into account the functional roles of the adrenal gland and also to address questions and unresolved issues regarding the treatment of its disorders. Finally, the editor would like to express his sincere appreciation to all the contributors for their dedicated collaboration in this project. He would also like to thank Ms. Carra Feagaiga for her patient support. 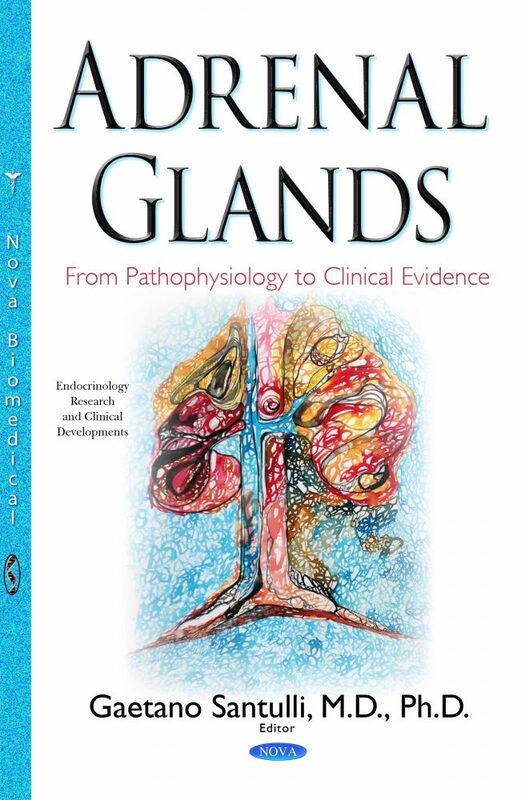 He sincerely hopes this book will enable readers to connect basic research principles with up-to-date clinical knowledge, thereby encouraging future discoveries and developments of new therapeutic strategies to treat disorders of the adrenal gland.